The most common pool. 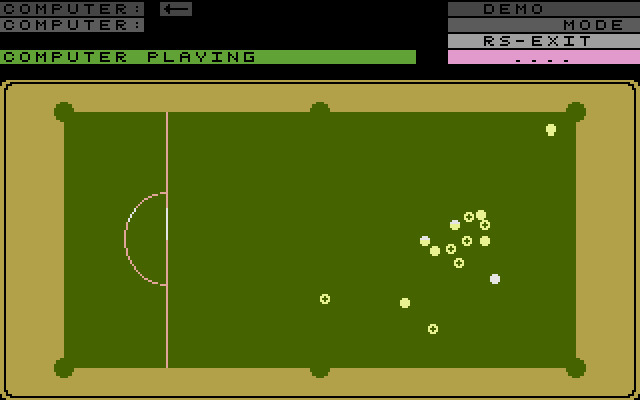 A player cannot sink the 8-ball until their ½ of the other 14 (either stripes or solids) are sunk. Sinking the 8 early loses. 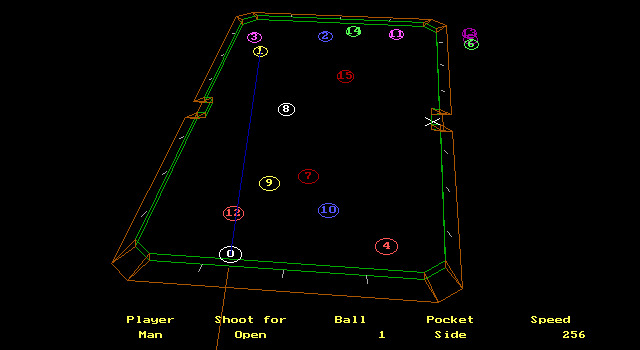 The first video game about 8-ball pool game was released in 1983.
or some other shape. 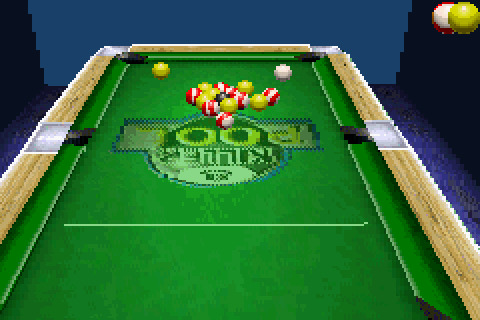 The cue ball is placed behind the scratch line on the near side for the brake. 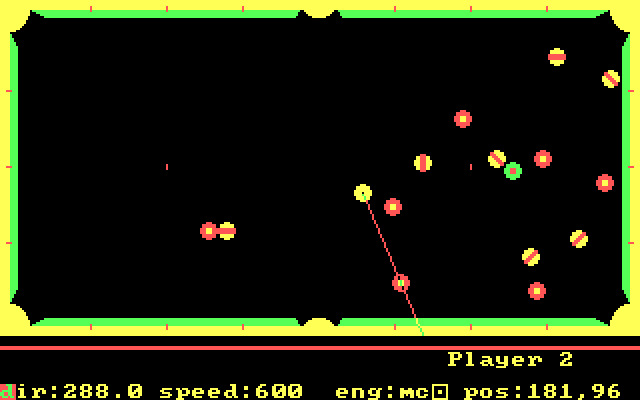 8-ball is for two players or two teams only. One side gets the striped balls and the other gets the solid balls. 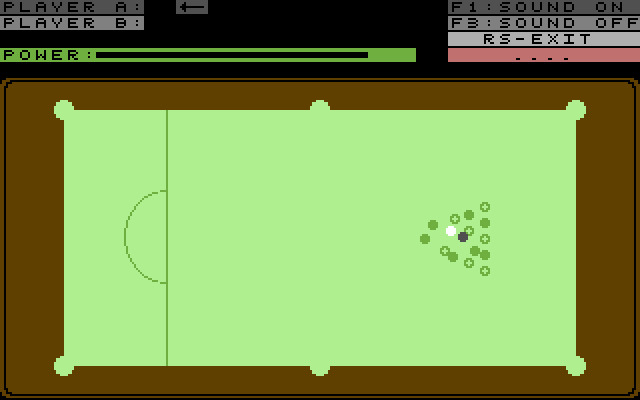 Additional variations may include having the strips and solids pre-assigned, but usually they are 'claimed' by the first player to sink one. 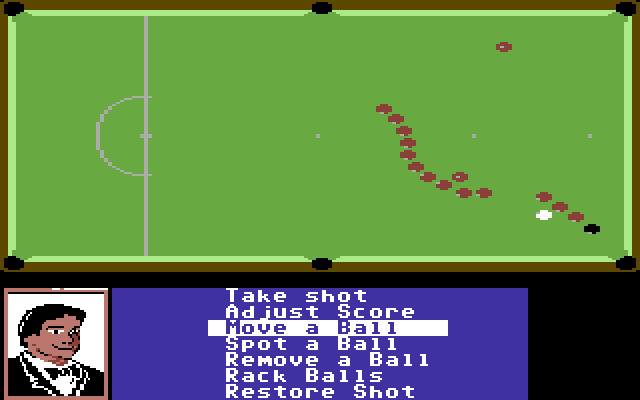 Usually the player must subsequently strike one of their set first or their turn is ended. 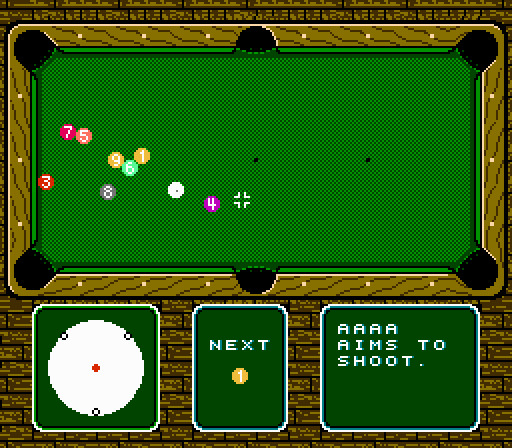 In some strict variations, a player can only claim a set if they strike one of that set first then sink one of that same set in the same shot (excluding the break shot). If they sink one or more of their set (or even one of their opponent's set in some variations) their turn continues. 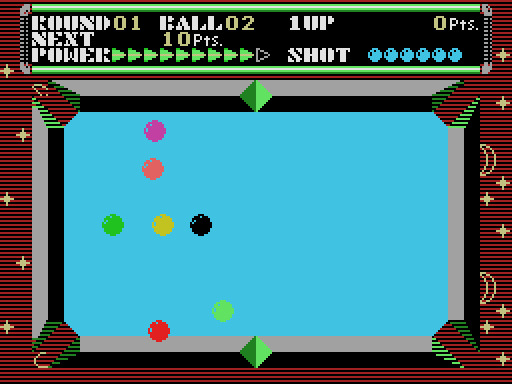 In some variations the 8-ball can be struck first, or their are no rules for first strike. 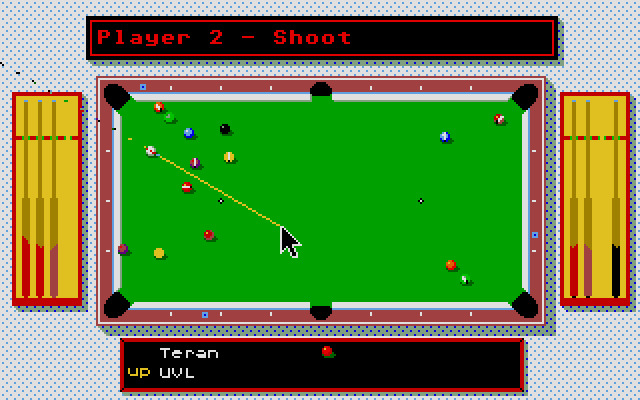 The common rule is that a player cannot sink the 8-ball unless all of their set is off the table. They may sink the last of their set and the 8-ball in a single shot, but only if the 8-ball is last to fall. 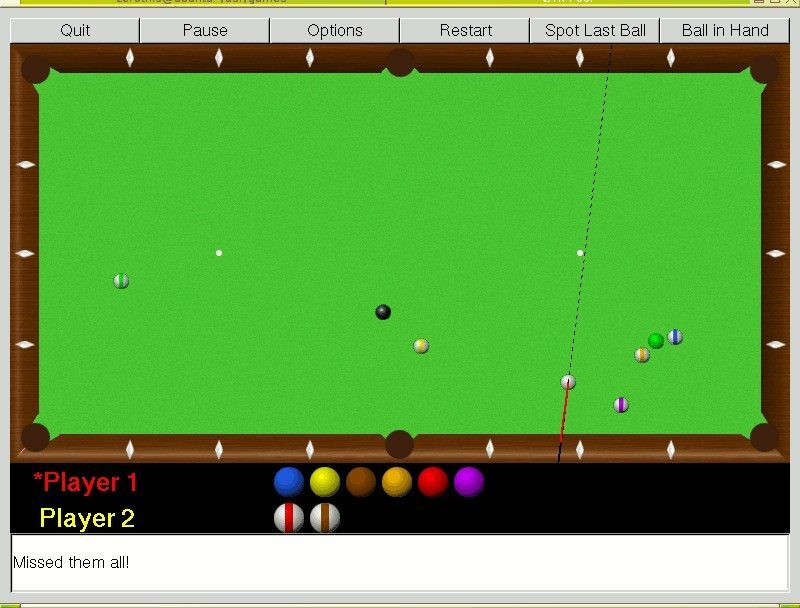 Sinking the 8-ball too early always results in a loss, unless it is done with the break shot, then its a win. 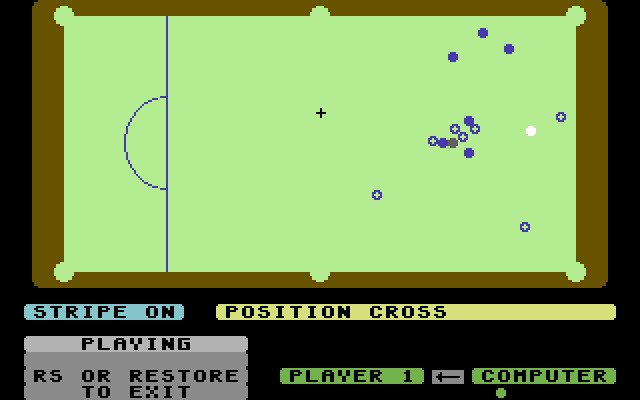 Variously, shots must be called or not.